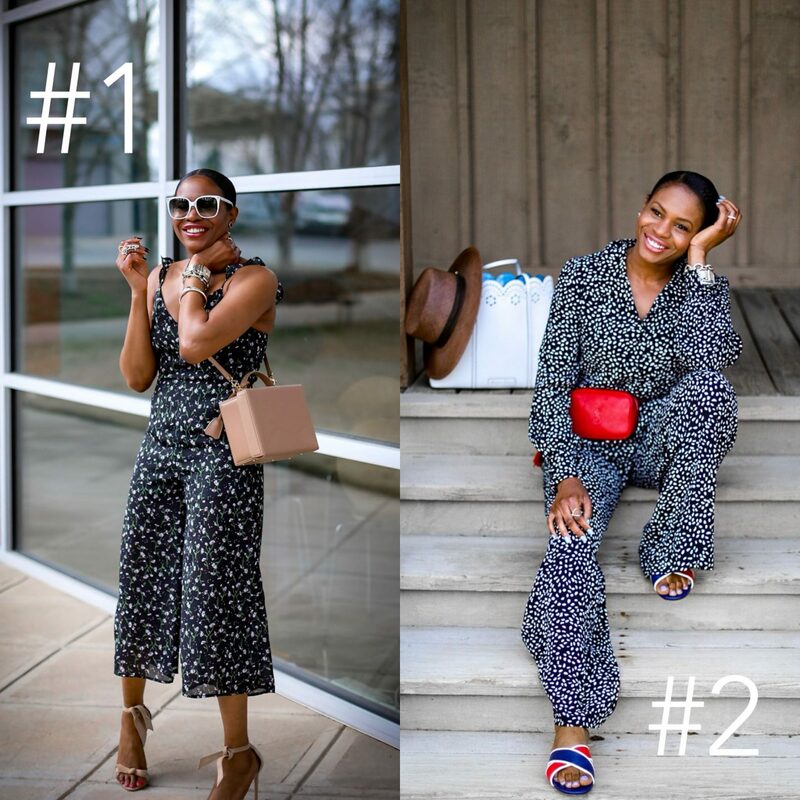 Floral jumpsuits not only make dressing-up easy, but they are a major trend this spring. 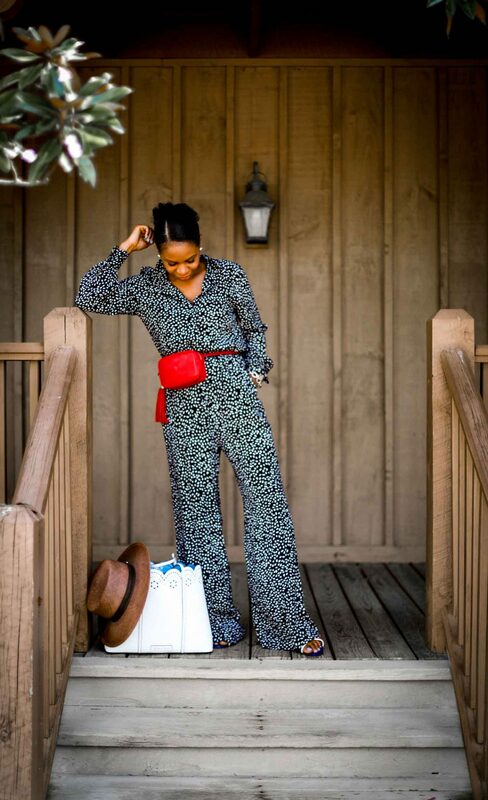 In today’s outfit post I style two jumpsuits to show versatility and style. 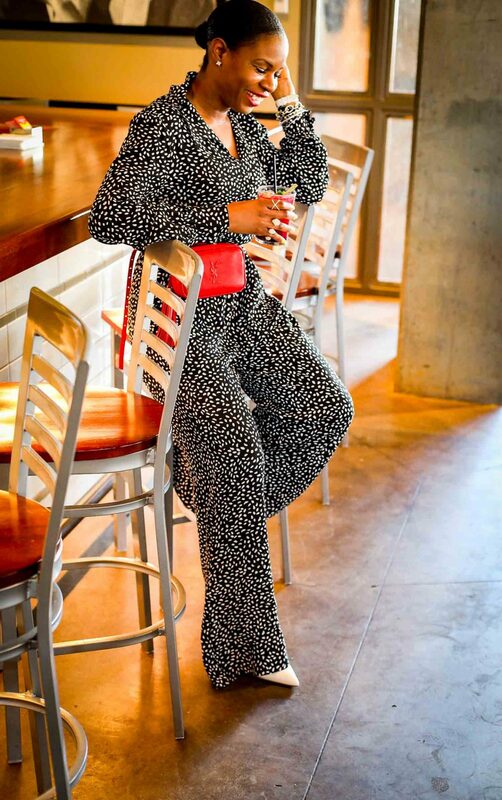 Whether you are going on a family vacation, and you need true comfort or you are hitting the bar for drinks with your girl friends, a jumpsuit works for every occasion. The key to making them work is styling. To dress-up the look, I paired the one-piece with more dressier shoes like pumps and high-heeled sandals. To make it casual, I simply paired my spring floral jumpsuit with flats, and added a relaxed handbag to the outfit. These little details truly make a huge impact, and dictate the direction of your look.